The Obama administration on Sunday declared a “public health emergency,” as U.S. health officials warned that further cases of swine flu are likely to emerge in the U.S. Although officials said most of the cases have been mild and urged Americans not to panic, the emergency declaration intensifies the government’s response to the infections, freeing resources to be used toward diagnosing or preventing additional cases and releasing money for more antiviral drugs. Officials said they had confirmed eight cases in New York, seven in California, two in Kansas, two in Texas and one in Ohio, and that the cases looked to be similar to the deadly strain of swine flu that has killed more than 80 people in Mexico and infected 1,300 more. 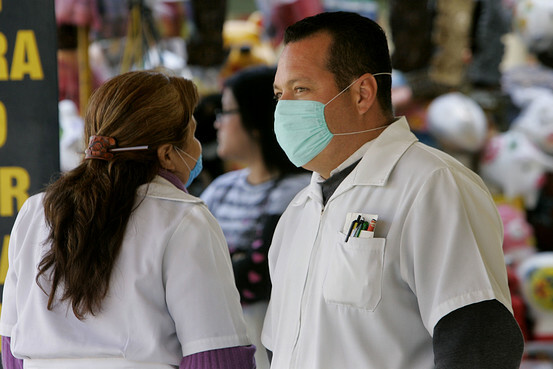 So far, there have been no deaths from swine flu in the United States, and only one of the people who tested positive for the disease has been hospitalized, officials said. Still, officials said they expect more severe cases as reports of infection multiply. The World Health Organization reiterated that it considered the outbreak “a public health emergency of international concern” but said it would put off until Tuesday a decision on whether to raise the pandemic alert level. Raising it to level 4 “would be a very serious signal that countries ought to be dusting off pandemic plans,” said Dr. Keiji Fukuda, deputy director general of the W.H.O.